Free Wall Art Printable "Our House"
Incase you've been snoozing, I shared my cleaning closet makeover the other day along with this printable wall art I created & framed for the new happy space. 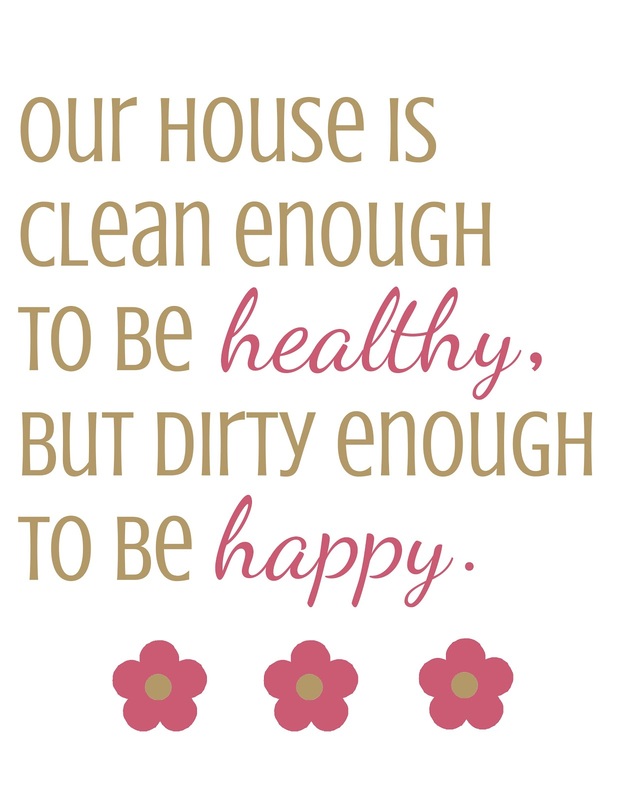 Seriously, this quote is the perfect life motto if you ask me! AND since I am feeling rather charitable today I've decided to share my design as a free printable. Yep, that's right just for you because remember.......all together now "sharing is caring". Three different colors available in 8 x 10 sizes. Just print on plain white card stock, frame, and hang. Love to hear if anyone gets any use out of this, especially if you're one of those cleaning OCD types who is willing to give up that control. 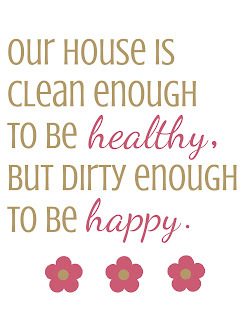 Plus, my house wouldn't be jealous of your clean house anymore. i love it! i should hang it in my closet that just collasped and it all over my living room. Coming over from Katie's blog! So happy to have found you! Super fun blog!! Thanks for sharing you printable. Happy to be a new reader! 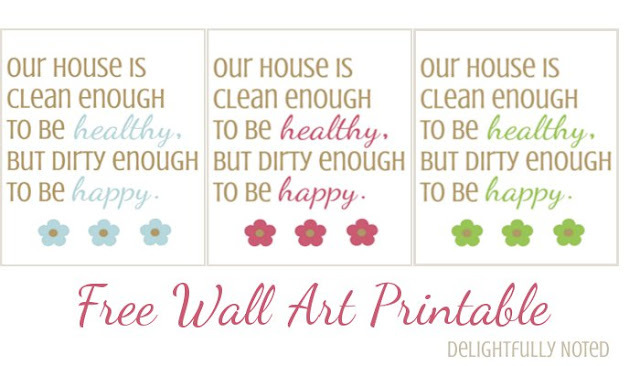 What cute printables! And free is always good!! Newest follower! !